The Black Damnation series is a dark twist of Urban's mind. His idea was to realize a double dozen ales with the use of Black Albert over a period of several years, that are as black as hell, filthy rich in the nose and with massive taste. 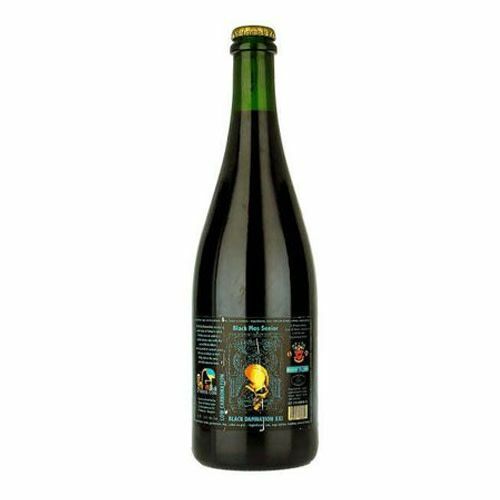 Black Mes Senior is a massive stout, matured for 5 years in Caol Ila & Lagavulin Whisky Barrels, cask strength. A very limited edition of 2000 numbered bottles!